We have been using ” The DentalVibe” for about two weeks now and, as promised in our last blog, we are ready to report on its efficacy. 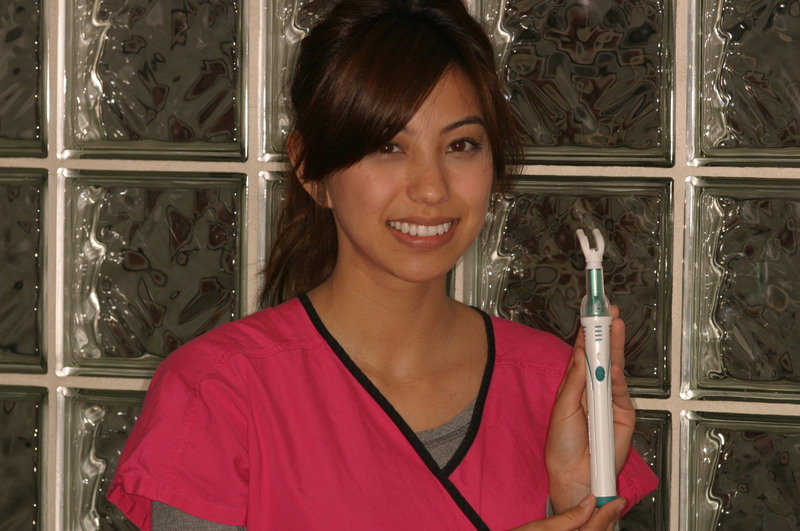 Just as a reminder, “The DentalVibe” is a device that vibrates the area in the mouth that is getting ready to receive an injection and confuses the brain in such a way as to block any other pain impulses. My patients will remember that I have tried in the past to duplicate this effect by vigorously shaking their lips and cheeks. The Dental Vibe is more effective (and the patients can leave without my fingerprints on their cheeks!). You are currently browsing the Dr. Hauss' Blog blog archives for June, 2012.